We've just updated FDE to Version 6.0! 1. Our search system works like a charm now! 2. We have a new "holiday mode" which you can set if in your profile if you decide to go away for a while and would like to let your friends know. 3. Ratings! Oh yes, you can now rate everything [Y] You decide on the quality of FDE now, rate something that you like UP, rate something that you don't like DOWN. 4. We've cleaned up the Shortcuts so now you can view discussions/questions with no replies. All Emails should be working now, we suspect that you might not have been receiving all of them! Let us know if you are not receiving any Emails that you think you should (Profile notifications, friend request, picture comments, or if someone replied to your thread etc). 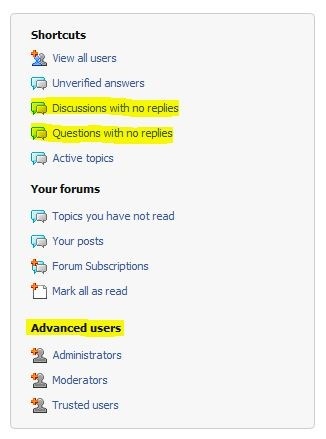 All these settings can be changed in your profile. I haven't had the chance to see much of it yet - But I LOVE the "...you may also 'highlight' a part of the text and press 'Quote' "!